Idilli Villas is easily accessible, no matter where you come from or how you plan on getting here. Prick up your ears and start taking notes! A 2hr drive from the port of Igoumenitsa, reachable by ferry from Venice, Ancona, Bari or Brindisi. A 35minute drive from the Aktion National Airport, reachable via charter flight from most European cities. A comfortable 4,5hr drive on the Egnatia motorway to Ioannina and then via Ionia Odos motorway to Lefkada. A 2.5hr drive from Ioannina, reachable via the Egnatia motorway. Via the Rio-Antirio bridge. 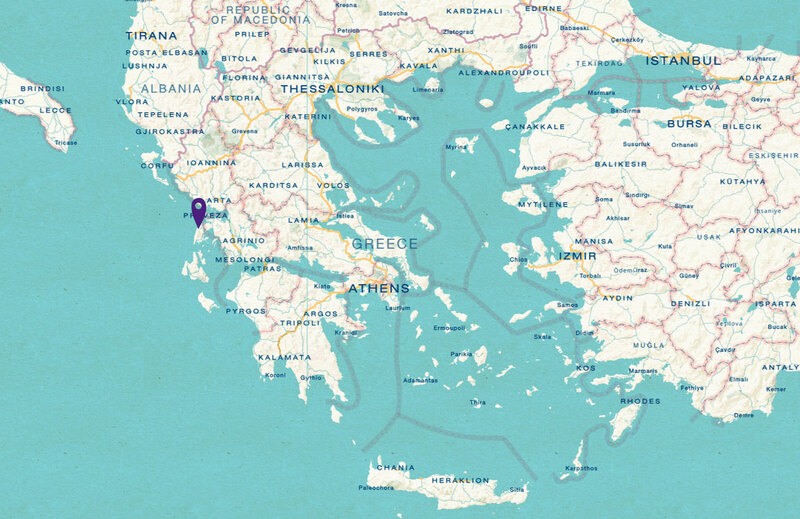 A 5hr drive from Athens and a 3.5hr drive from Patras. A 2.5hr drive to Lefkaka. A 2hr drive from the port of Igoumenitsa, reachable by ferry. Via the Rio-Antirio bridge, followed by a 4hr drive. 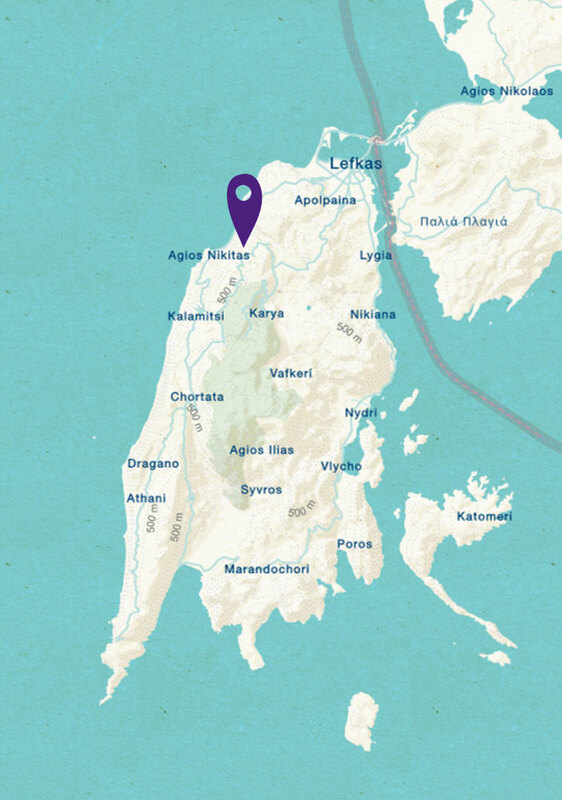 The town of Lefkada is 385km away from Athens, 420km away from Thessaloniki and 100km away from Igoumenitsa. A bridge connects Lefkada with mainland Greece. The Preveza-Aktio submerged tunnel makes access to the island easy from northwestern Greece and the port of Igoumenitsa, a major gateway to Western and Central Europe. The Rio-Antirio bridge significantly improved connections between Lefkada and the rest of Greece, as well as the port of Patra, the second major gateway to Europe. The Aktion National Airport offers several flights per week to Lefkada and other Ionian islands (Corfu, Kefalonia, Zakynthos). 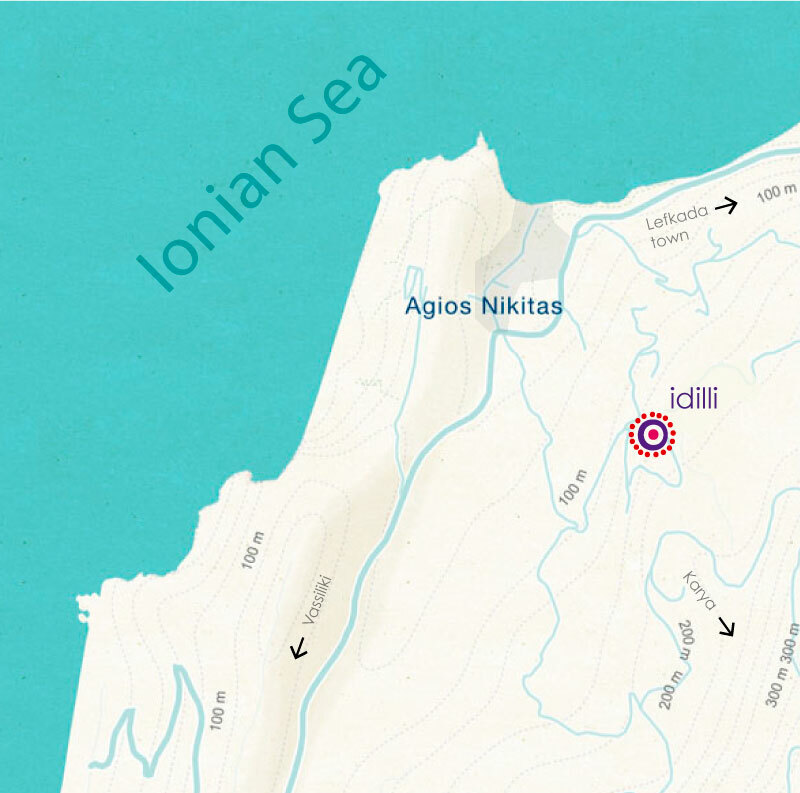 It is 10km away from the Lefkada town and 18km away from Agios Nikitas village. Lefkada is connected to Athens by bus service (KTEL) that runs five times a day (5hrs) and twice a week to Thessaloniki (4.5hrs). If you arrive by plane, hiring a car at the airport is highly recommended. Please contact the Idilli Villas manager for recommendations.